The kyoketsu-shoge or rope-and-dagger weapon is one of the Ninja's unique specialty weapons. It consists of a single or double-bladed hooked-knife and a length of rope averaging 15 to 18 feet, with a weight or metal ring attached to one end. The tool can be used for climbing and carrying, as well as being stretched across an open area as a trip wire to warn the ninja operative of an enemy's approach. As a weapon, the shoge's reach and versatility can be used very effectively against a sword or staff-wielding opponent. This unique weapon combines the techniques and benefits of several others, while embodying its own capabilities. Techniques employed with a jutte, sword-catcher; nawa, rope; and kusari-fundo, weighted-chain; are all adaptable for use with the kyoketsu-shoge. These, combined with the tool's ability to reach out and ensnare the attacker from a safe distance, make the ninja's rope-and-dagger weapon a useful tool in the ninja's defense. As seen from a historical perspective, the weapon is said to have come about as the result of a resourceful warrior on a battlefield who combined the end of a broken spear, called a kama-yari, with that of his nawa, a length of rope often carried by the ninja for entry into the enemy's protected areas. The Japanese Government's Official Registration Encyclopedia of Martial Arts, the Bugei Ryu Ha Daijiten, credits one of the Soke ('head of lineage) of the Gyokko-Ryu Koshijutsu tradition as the inventor of this weapon, and also lists the kyoketsu-shoge as one of that lineage's specialty weapons. an extension cord attached to a kitchen implement and used for your defense against an assailant. In either case, the kyoketsu-shoge should not be studied simply as the museum piece that it appears to be. But instead, it should be seen as a model for anything resembling it that could be pressed into service for your defense. 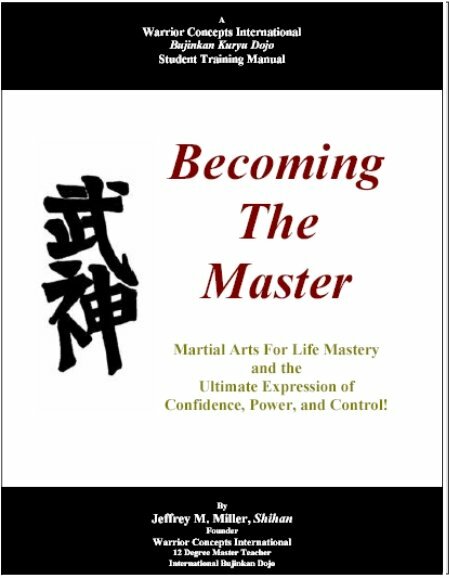 Black Belt Mastery in the Art of Ninjutsu! or click here to find out what's inside!